Group programmes and services, paddling trips and rent of canoeing equipment and bicycles. Marvellous views over the Siuntio river valley. The flowing water and surrounding nature create a peaceful, unhurried atmosphere. Cumulus City & Resort Hotel Siuntio.142 Standard SGL and TWIN rooms, 47 superior rooms. 2 cottages for individual travellers. Each has 2 DBL bedrooms, shower and WC. Cumulus City & Resort restaurant offers delicious, healthy food at Lunch and Dinner Buffets and A la carte. SE-Action offers the possibility to pre-order groceries to the cottages. On pre-booking wilderness and other meals can be prepared for groups. Café Sjundby – a summer café in the old granary of mediaeval Sjundby manor. 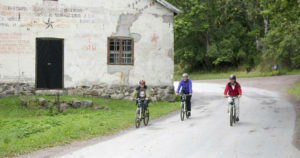 Known for its wonderfully tasty homemade Sjundby ice cream, delicious homemade sweet and savoury pastries. Museum Degerby Igor, a museum of Finnish-Soviet military history during WWII. SjundbyManor, built in 1560 and still privately-owned. PetparkLomamäenLemmikkipuisto. Guests can meet and pat the lovely animals. It is possible to see reindeers. 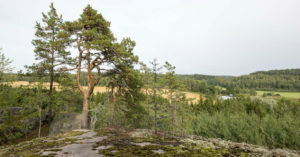 Open-air recreation area of Kopparnäs. Hiking, swimming, sunbathing, bird-watching, picking berries and mushrooms and even barbeque. Breathtaking view over the Finnish archipelago with exceptional cliff formations.